Your nutrition can be one of the hardest things to keep up on, let alone get right every time. 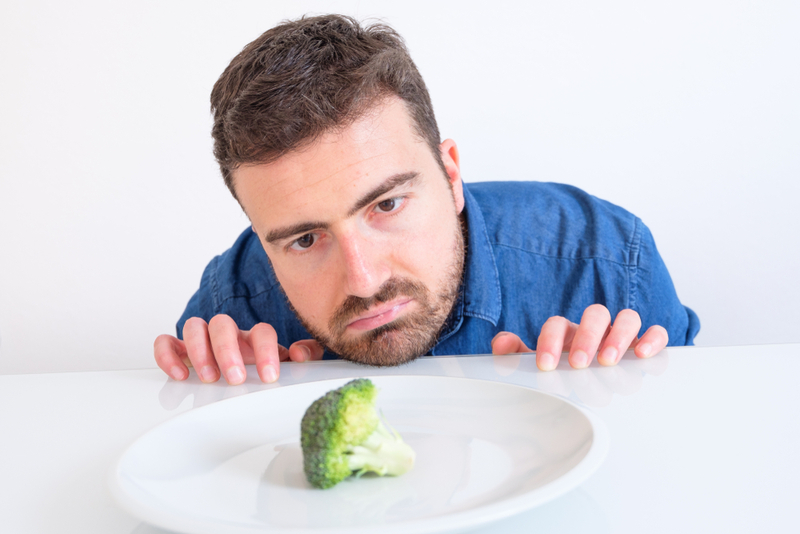 Many men do not know how to get their nutrition right. Instead of listing all the ways to get your nutrition right, it will be easier to list what you need to avoid. Here are a few nutrition mistakes you should always avoid. Many men who begin diets or want to build muscle begin to avoid high fat foods. Of course, there are good fats and bad fats. You need to avoid bad fats completely. These fats are called saturated fats. They are found in things like fast food hamburgers and other junk foods. You should be avoiding these fats at all costs, but not all fats should be completely avoided. You should still be eating unsaturated fats. These are good fats. These fats are found in many foods. They are found in foods like avocados, omega-3 rich foods like salmon, in many nuts like almonds, and many other foods. You should find many foods with saturated fats that will be good to add to your nutrition plan. You should not banish certain foods completely. This will only lead to you being more likely to quit your diet. The “treat yourself” mentality should be part of your diet plan. You need to treat yourself occasionally so that you are not tempted to fall off the wagon every time someone in the office has a birthday. You will have to be very controlled with this mentality. You should only have one cheat day a week. You will also have to work off your cheat days. By adding a few extra reps, or whatever you want to do to stay in shape, after a cheat day, or even two days after a cheat day, you will be able to stay on top of your nutrition plan. #3 Multi-Vitamins Will Give You All The Nutrition You Need. Multi-vitamins are very good for you, but you should be looking for other ways to added needed vitamins and minerals to your nutrition plan. You will be able to add more vitamins and minerals to your nutrition plan if you add more fruits and vegetables. Guess what, your mother was always right when she said that you needed to eat your vegetables. No matter what kind you are eating, as long as they are not deep fried or drowned in sugar, you will be able to get more vital vitamins and minerals in your diet. #4 Calories Are All You Should Care About. Calories are important in a diet, but they should not be the only thing you care about. For the longest time, we were told that all we needed to do to lose weight was to control our calorie intake. Although this is true on some level, calories should not be the only thing that you focus on in a diet. Your diet should consist of a focus on your overall nutrition. You should be focused on the carbohydrates, proteins, and fats that go into your diet. If you are eating a healthy amount of these three nutrients, you will have your nutrition under control. #5 Believe in the Fad Diets. No matter what, do not believe in the fad diets that you see advertised on social media. If you want to work on your nutrition, you will have to work hard there is no easy way out. You cannot take some sort of miracle drug and get all the nutrition that you need. Make sure that you are getting the right amount of vitamins and minerals daily so that you can be healthy now and into old age. #6 Smoothies and Detoxes Fix Everything. Smoothies, even when they are nutritious, are generally calorie bombs. Yes, they can be helpful if you are trying to eat healthy, but they should not be all that you add to add nutrition to your diet. If you are doing smoothies, you should try to keep them at about 300 calories, instead of just throwing in whatever sounds good. You should also only drink them in small portions, about 8-12 ounces. 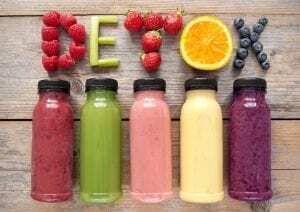 Detoxes can make you feel better and clean out some of your vital organs, but they are not the healthiest things for your body. Doing a detox at times is good, but doing several in a short amount of time is bad for your body. Your organs, like your liver, actually work better when there are some bacteria built up in them. When you are repeatedly flushing out your organs, your organs will not be working as well as they could. Find a balance by only doing a detox every few months. You should be taking a harder look at your food than just what the front of the box says. You need to begin looking at the nutrition labels on the back of every container that you pick up. For example, the other day I picked up coffee creamer that was lactose free and gluten free. I had to laugh at their labeling because, guess what, dairy does not contain gluten, ever. So, they were not wrong, but it is an unnecessary label that they added because people are anti-gluten more often than not anymore. Make sure that you are educated about what you are putting into your body. #8 Trust Every Nutrition Advice Article Out There. Do not do this. This is the best advice that I could give about anything, ever. Even when articles claim that they are supported by experts and facts, very often this information is wrong, or is only an opinion of this certain expert than an actual fact. Make sure that you are doing some research when it comes to your nutrition instead of trusting every article out there.